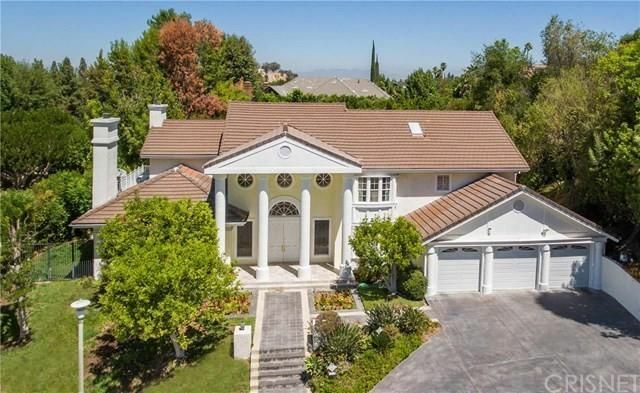 Magnificent Lake Encino Traditional Estate Sale! This grand estate is tastefully decorated with fine contemporary furniture accented with fine antiques. There are many fine hand made oriental rugs and silk upholstered sofas, fine ceramics including Limoges and Asian collectables. Included in this sale are a traditional dining table with 6 chairs, large china hutch, buffet with mirror and side tables. In the living room are two pale rose sofas, a grand French style hand made rug, fine Italian coffee table and two matching French armchairs. There is an Yamaha upright piano and lovely older oil paintings. The office den has a large hand made oriental rug, two leather recliner chairs, colonial revival drop front desk with hutch, Chippendale revival corner chair, partners desk and accent tables, there is also a 42” flat screen TV for sale. We also have a fainting sofa lounge, fine interesting lighting and many accent pieces. In the kitchen there is a pine table with chairs and miscellaneous kitchen items for sale, outside are quality lounge chairs, umbrella, propane heater, cast aluminum patio set and a hanging basket patio chair. Posted in News, Past Sales.